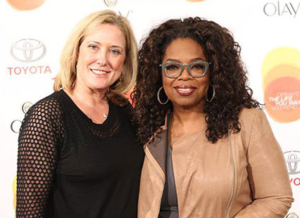 Here’s Connie with Oprah at her life-changing The Life You Want Weekend at the Toyota Center. See the Excerpt page for a little about Oprah’s story. During your darkest hour, you cry out for help, but to whom? The police, family, friends, or God? you can succeed more than you ever imagined… if you believe. Keeping with the bestselling tradition like Jack Canfield’s Chicken Soup for the Soul here comes another exciting award-winning book written by Connie Rankin. This book includes 10-interactive tell-all stories that demonstrate through faith how to live a life based on hope and possibilities. Such empowering women from Oprah Winfrey to Donna Cole, describing how they turned their traumatic life experiences of merely surviving, to thriving, to later empowering women all around the world. will go to support Bridge Literacy Now.